The OLBA needs a host for the Pairs. Single green clubs welcome. It has never been easier to host. You can serve food or not serve food. You do not need to have scoreboard flippers. The dates and venue have been set for the 2019 Canadian Youth Championships. 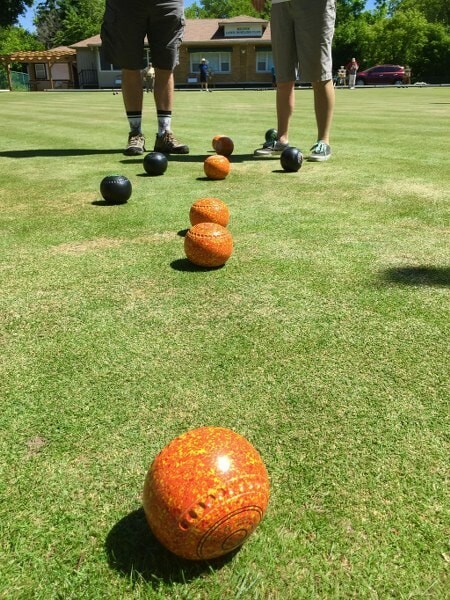 The Juan de Fuca Lawn Bowling Club in Victoria, BC will host the event from August 6-10, 2019. The Juan de Fuca bowls club is no stranger to hosting national championships, having recently hosted the Canadian Lawn Bowling Championships in 2017. As one of just three clubs in Canada with four greens, the club is eager to host Canada’s top youth bowlers in both the Under 18 and Under 25 categories. The dates for the Canadian Indoor Singles Championships have also been set. The Pacific Indoor Bowls Club (PIBC) will host the event once more, from October 21 to 26, 2019. This will be the 16th year that the PIBC has hosted the Canadian Indoor Singles Championships. “We look forward to hosting the event and wish to extend a warm welcome to players across the country to our facility,” said Serge Pannu, chair of the Host Organizing Committee. All dates and venues for the 2019 national championships have now been finalized. 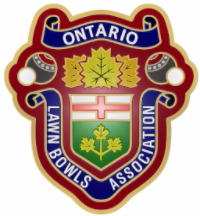 For more information on all events, please visit https://www.bowlscanada.com/en/championship/events.html. Clubs interested in hosting a national championship in 2020 or beyond are encouraged to view the hosting schedule at https://www.bowlscanada.com/en/championship/future_events.html to determine when their province is scheduled to host a national championship. Elections to the OLBA board take place at our AGM on April 27 in the Woodstock at Quality Hotel & Suites Woodstock, 580 Bruin Blvd, Woodstock. who is the District Chair for District 9. Watch for details about our election process and open positions. A new indoor sports facility has been built in Stratford in the old Blackstone factory on Romeo Street. So far he has installed a large carpeted area used mostly for soccer and baseball practices but there is one area that is quite good for lawn bowling. (we played about 20 ends last Wed.) It is a little heavy but still fun. He charges us $5 and we can bowl as long as we want.He has an indoor plastic skating rink for hockey complete with boards and plexiglass, three indoor golf nets, a putting green, weight room. Dave Koert has bowled there a few times and would welcome anyone interested in trying it to contact him. (his email is davekoert@gmail.com)If we get enough interest in indoor lawn bowling in the winter, he may invest in a 80 or 90ft faster carpet that we could use on the plastic ice surface. The OLBA Annual is an important part of our efforts to attract new participants to our sport and members to our clubs. This and last year we dedicated the cover of the Annual to the display of pictures that were selected to be “inviting”.For the 2019 Annual we are looking for the “perfect” picture taken from a new and refreshing perspective, that of our members. The photos below were taken and submitted by OLBA members.Here is your chance to choose that cover picture. Consider the wonderful choices below and then cast your vote.The deadline for voting is Friday, February 15, 2019, at 10:00 p.m.​​Please - only one vote submission per OLBA member. Watch the exciting World Bowls Tour Indoor Championships at Potters in the UK on YouTube. Want to hire a summer student from a horticultural college to cut your greens next year? Get the federal government to help you. Employment, Workforce Development and Labour Minister Patty Hajdu has just announced that the application period for Canada Summer Jobs (CSJ) 2019 has been extended. The deadline to apply is now February 3, 2019. To ensure timely receipt of your CSJ application, please submit your application by clicking here. A YouTube presentation is available to help employers like you apply to CSJ in order to hire youth and create valuable summer job opportunities that strengthen our local economy and our community.